Actor and comedian Kapil Sharma finds himself in the news for a lot of controversial reasons. Recently, he managed to make it to the entertainment section of tabloids for his appearance on Koffee With Karan where he spoke about drunk tweeting and his secret love life. But now, he finds himself once again at the centre of another controversy. 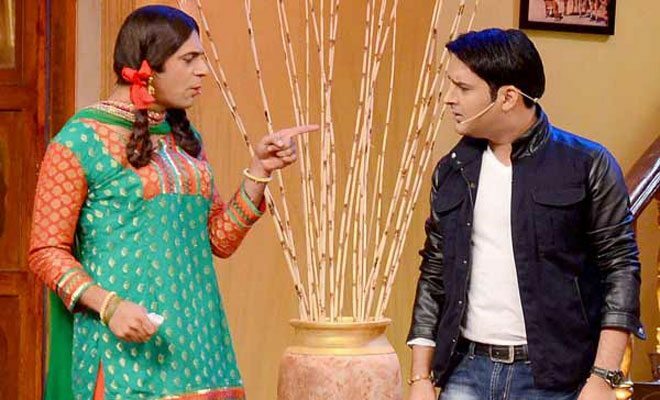 It seems that Kapil Sharma and his co-star, actor Sunil Grover were engaged in a brawl that ended up with the two sparring while on-air for The Kapil Sharma Show. Sources have revealed that the argument got so heated, that Kapil ended up grabbing Sunil by the collar! The Kis Kisko Pyaar Karoon star added that sometimes when actors are working together for a long time, things tend to happen and egos start to clash, so the public shouldn’t make an issue out of it. After this hullabaloo was leaked to the press, Kapil Sharma went to social media to write a long post, trying to clarify the situation with fans. This is not the first time that both Kapil and Sunil have been at loggerheads. The two had a fall-out earlier when Kapil had famously left a competitive television channel to start his own self-titled show on Sony TV. Sunil later quit Comedy Nights With Kapil on Colors due to creative differences occurring between him and the famous host. However, the two had buried the hatchet and soon Sunil Grover was working on The Kapil Sharma Show. We hope these two comedy geniuses will once again resolve their issues and get back to entertaining us!